For the first time, researchers found an almost-complete fossil skeleton of the fish lizard ichthyosaur in India. Here's why that's a big deal. For the first time, researchers found an almost-complete fossil skeleton of the fish lizard ichthyosaur in India. Why is that a big deal? Well, it pretty much throws previously understood thinking on their evolution right in the trash can. Researchers in the area were expecting to only find bone fragments in their dig. Imagine their surprise when after 1,500 hours (!) 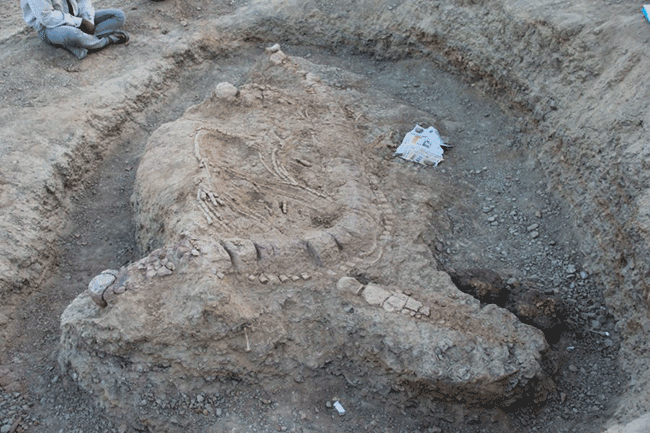 of digging, they revealed a 16-foot-long skeleton of an ancient sea monster. Its backbone was still a continuous line, and its left front fin had also kept its shape. 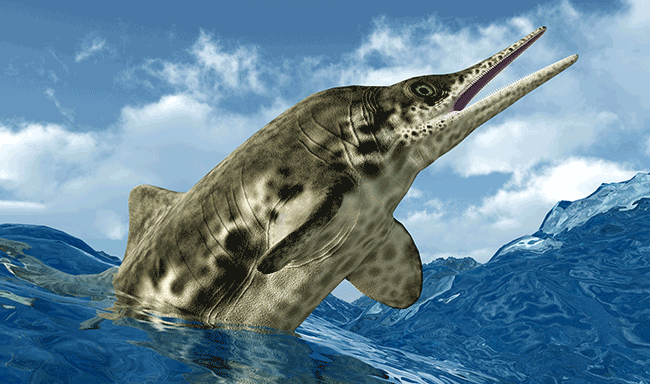 Ichthyosaurs look a lot like today's dolphins. Even though dolphins are cute, the ancient fish lizard version of them sounds pretty terrifying. The skeleton's location suggests there's a previously unknown link between these fish lizard and other reptiles found farther north in the area. 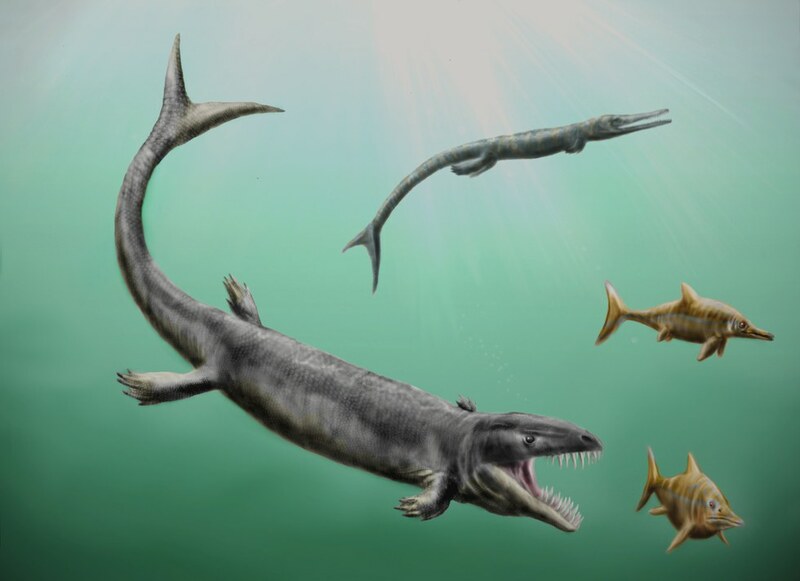 Researchers now believe there may have been a huge waterway that connected the two regions back in the day of the sea lizards. The body of water would have crossed today's India, Madagascar and South America. "They seem to have lived everywhere in the oceans, all over the world, at the same time dinosaurs were thundering across land," Steve Brusatte, a University of Edinburgh paleontologist who wasn't involved in the study, told National Geographic. The paleontologists didn't think they would find an ichthyosaur at all, especially one this old. It's about 50 million years older than previous discoveries, which tended to just be old teeth. Much less fun. And speaking of old teeth, paleontologists were also excited to discover the sea monster's teeth so they could get a glimpse into its ferocious diet. The creatures chomped down on fish, mollusks and other sea lizards. The fossil's teeth looked cracked and warn, suggesting that it dined on particularly crunchy sea creatures. Researchers hope the discovery will inspire more exploration in the region so they can learn even more about how these sea monsters navigated the world. Hopefully it will take less than 1,500 hours to find the next monster skeleton!